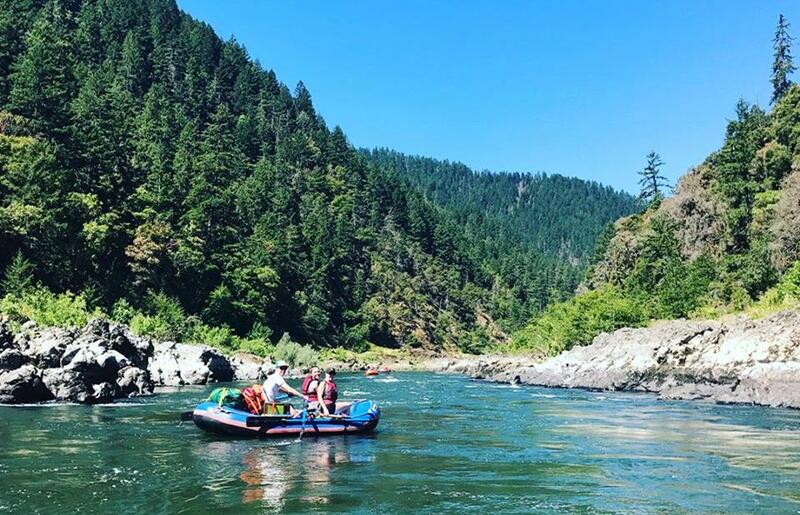 People line up to pay $1,000 per person to go with an outfitter on a four-day camping trip down Oregon’s Wild and Scenic Rogue River. I mentioned that fact to my family in the days leading up to our trip last week in hopes it might create more enthusiasm. I was sensing something more akin to obligation. But truth be told, after hours of packing over many days I had begun wondering if it was all worth it. Beyond the extensive preparation required for rafting, there are other challenges. Leaving at 4:00am is not least in the opinion of the women in my life. After 45 minutes of final loading we finally left home, but barely made it to Portland before we blew a tire on the boat trailer. Changing the tire on that narrow shoulder with I-5 traffic roaring past was the scariest and most dangerous moment of the entire trip. Looking back, we truly had an excellent trip, even with the blown tire and midnight bear encounter. In fact, those things along with all the other challenges, actually helped make the trip great. Even as I was packing I realized what we needed was not a problem-free river trip, but a Spirit-filled one. Our dry bags are labeled with the fruit of the Spirit to push us to embrace Him the whole way and I am happy to report many God-sightings. Sure, we saw Him in the flight of bald eagles, the surging hydraulics in Mule Creek Canyon and moonlit beach at Missouri Creek campsite. But I saw him even more beautifully in the genuine patience during tedious loading, reassuring peace anticipating Blossom Bar, and acts of kindness in the many service opportunities camping offers. It wasn’t perfect, but it was truly excellent.